It seems this has been my greatest travel year to date, starting in Ecuador and continuing to Thailand, Spain, Scotland and now Japan. 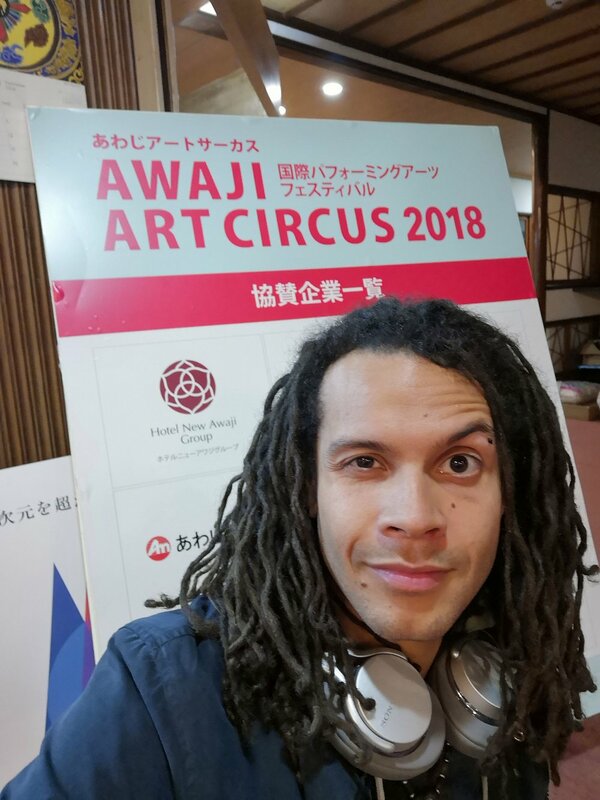 I applied earlier this year to be part of Awaji Art Circus and was selected as one of 8 companies to take part in this year’s festival. After a 13 hour flight including a short transfer in Beijing, I arrived at Osaka Kansai Airport. The transfer was so short, in fact that the slightly late arrival of my plane meant I arrived just as my gate was closing and my baggage did not make it out of Beijing. I was the first artist to get here and slept many hours due to my body clock still running on English time. I’m writing this now at 4:24 am Japan time, so clearly haven’t adjusted yet. To my delight, my roommates are Spanish hang drum and Cello players. 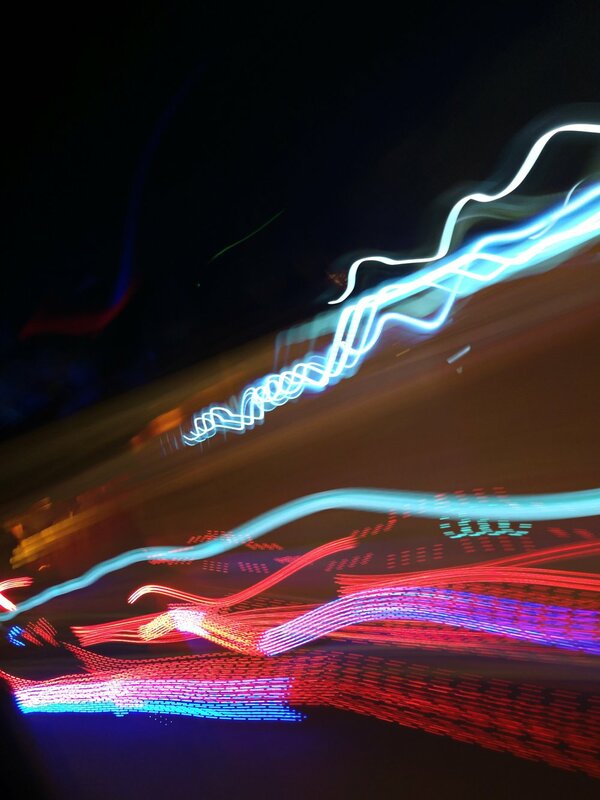 The potential to collaborate and make some good music is really exciting. Today we had our first team meal and the vegan options were great, I met all of the other acts, many of whom are musical as well as some circus performers and a quick change act. I’ll be taking photos, filming and updating this blog pretty regularly, so stay tuned to find out what I get up to while I’m here. I filmed my final vlog shortly after Edinburgh Fringe had come to an end and just didn't get round to putting it up until today due to taking time out to rest and having surgery on my foot. I also recorded an accidental vlog that started as a beatbox freestyle and became an unraveling and channeling of my inner processes. Some big downloads in these videos, so please let me know if you find them useful, or enjoyable in any way. Make sure to stay subscribed and share them with people who may appreciate them. 2 Must See gigs next week featuring yours truly! I'm excited to be part of 2 shows next week which are very dear to my heart. 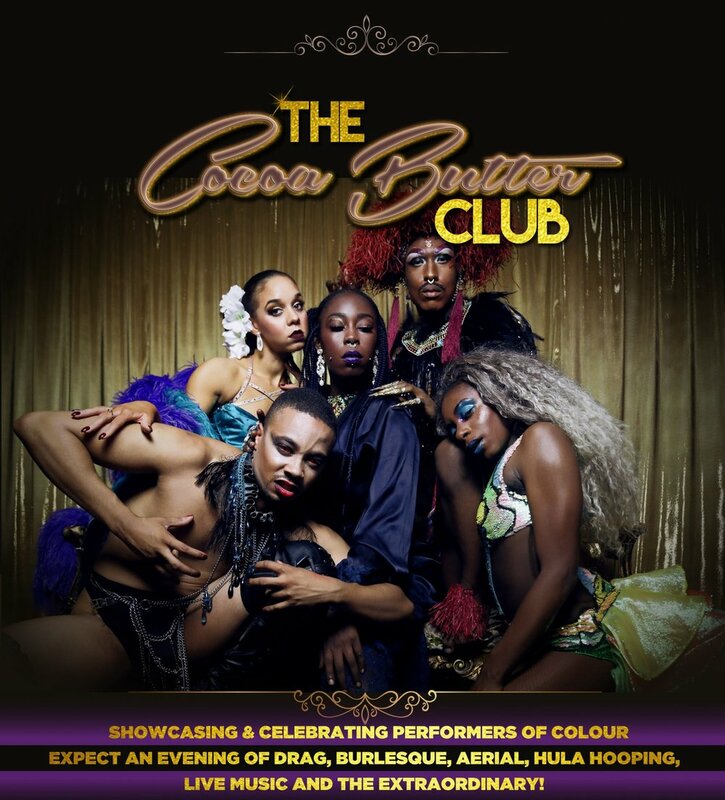 Firstly - The Cocoa Butter Club next Thursday: An incredible and empowering queer cabaret night celebrating the many insanely talented and underappreciated artists of colour by putting world class entertainment on The Underbelly South Bank Spiegeltent. Get your tickets now and support black excellence! Click the pic below. 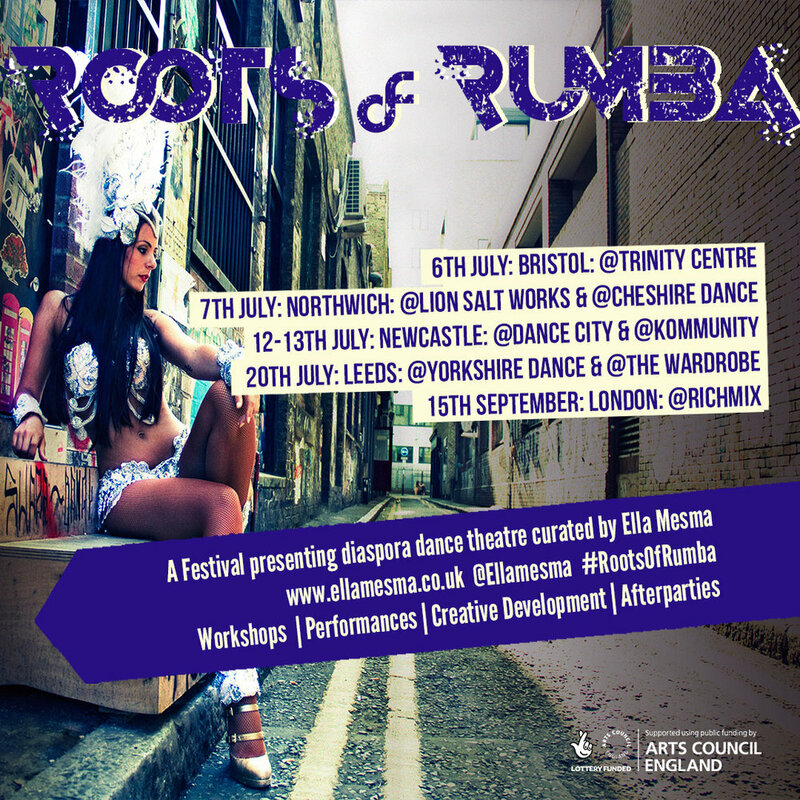 Then Saturday 15th September Join Roots Of Rumba at Rich Mix for a full day infusing Latin culture, hip hop, dance and theatre. I'll be performing a 15 minute version of Mantra, my one man shows and the day is full of workshops and performances. James Hanton of www.studentnewspaper.org saw Mantr yesterday and gave it a 4 star review. Super happy with this write up. Check out the full post. Vlog 9 - Where's Muti? *Spoiler Alert, I found him! Vlog 8 - Muti's Here! The vibe attracts tribe! It seems like every time I share a negative experience it all shifts and balances back to the positive side. We are just here to balance and my brother Muti balances me perfectly. Partying and the first time getting drunk in a long time! Sometimes we just need to remember to be and not be slaves to our own liberation!